It seems like ages ago that I discovered A England. Ever since that day, there is not one singe shade I have not loved. 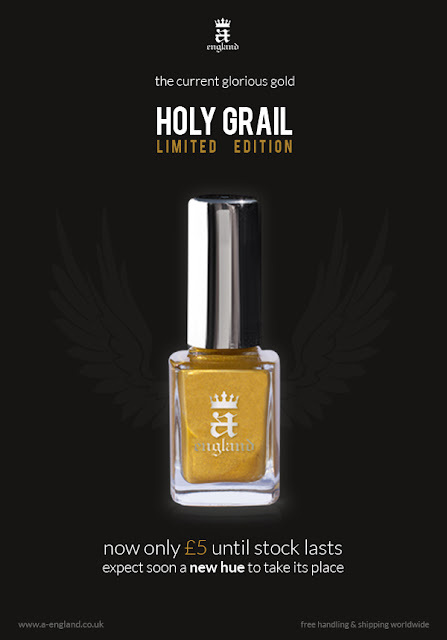 Holy Grail probably is the lost unique, warm, sensual and vivid gold shimmer. Formula was pure perfection and applied as effortlessly as I had first experienced when I reviewed it almost one year ago. I used two coats combined with A England The Knight (basecoat) and The Shield (topcoat) and they resulted in a glorious manicure. 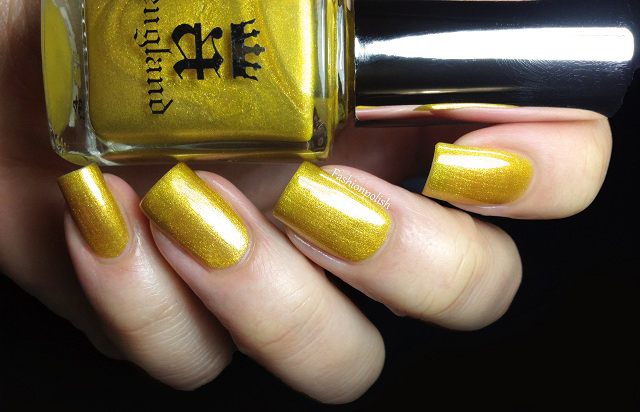 I really love Holy Grail, it's bold, classy and vibrantat the same time. Unfortunately, it will soon be discontinued but while stocks last, it's on sale for £5 on a-england.co.uk (free worldwide delivery.) Grab yours while you can! 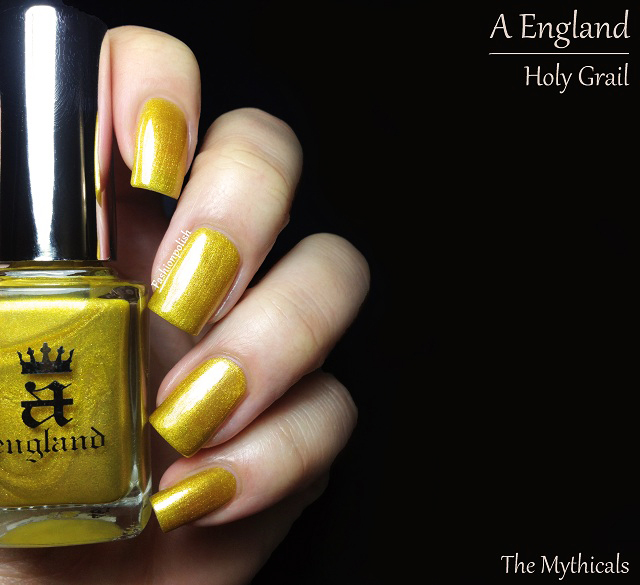 Of course, Adina had something up her sleeve for us, Holy Grail is being replaced!!! I'm not used to such shade but that's true it's a gorgeous polish! It look very pretty, original yet classy! I'm really excited to see the new color! What a beautiful color! I always end up wanting to buy EVERYTHING you swatch! So gorgeous! A England never disappoints! Very pretty, especially on you. I think it would look a bit to mustardish against my skin tone though. Your swatches are always great! Pure perfection on you. 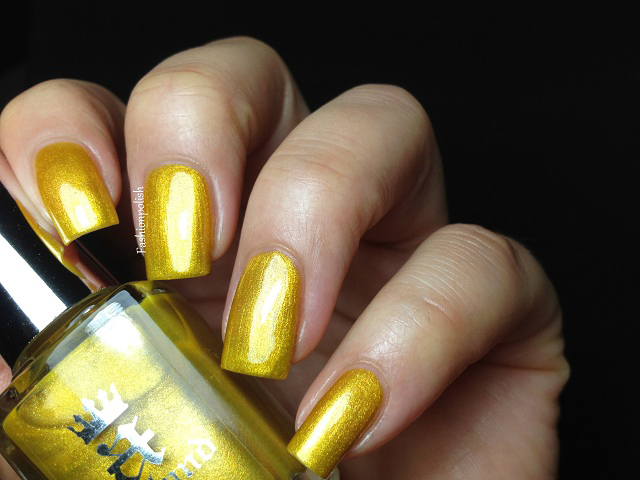 I would love this shade but unfortunately not for me :-( I was tempted to take advantage of this sale but resisted steadfastely ;-) but I agree, its sooo beautifully goldsome!!!! It's such a unusual colour! Kind of reminds me of mustard.